It’s fascinating to think that the toys we play with as children can essentially aid in our motor skills and cognitive development. To new parents and experienced parents like, and with adequate information and a willingness to expand, we can give our children the proper tools — ahem, toys — to be successful even at an early age. Most parents will be excited to learn that the thought-provoking toys responsible for such mental stimulation are not derived from digitized software. Quite the contrary! The toys responsible for this advanced development are LEGO bricks. Simplistic in theory, beneficially innovative in reality. LEGO bricks have been accessible on a generational scale. Over five decades of children (and adults) have been entertained and positively affected by LEGO bricks and the endless possibilities of creative design implied. Imaginations run rampant, inventive behaviors are engaged, and originality is embraced. All of those things make up a small sector of the list of benefits associated with utilizing building blocks. 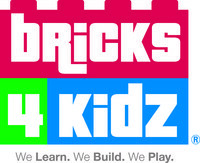 Allowing your child to become immersed in a program focusing on the educational and cognitive development that these bricks have to offer can reap substantial rewards. It is becoming increasingly known that the mass majority of parents do not fully comprehend the advantages of play time as a chance for their children to sharpen fine motor skills. The following categories reflect the developmental benefits of playing with LEGO bricks. 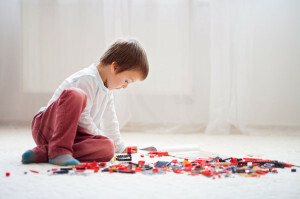 Creativity: Children can allow their imaginations to run wild while constructing various designs. While this may seem like the most obvious benefit, creativity and imagination is something that must be harnessed and relentlessly promoted. The mere individuality and originality derived from creativity yields simple and utter brilliance. Development: As previously mentioned, the thorough development of a child’s fine motor skills can be enhanced through building with LEGO bricks. Playing and building with such small objects forces an adaptive response to essentially control the bricks. Intellectual Specification: In other words, the progressive course of generalized “thinking”. Problem solving skills are required to build an idea out of LEGO bricks. A strategic plan must be imagined or envisioned by the child before architectural development can begin. Mathematics and Scientific Advancement: Spatial awareness and proportional expansion are imperative to building with LEGOs. Most of the fractional manipulations are being learned incognito. Kids are happily unaware that dimensional literacy is being demanded of them. Engineering: Does the child want to build a house? She must first realize through trial and error that the house can only be stabilized with a wider foundation. In this instance, creation yields empirical innovation. Achievement: Creating something from a thought is a feat worth celebrating at any age. Accomplishment and confidence in one’s ability will be developed over time. Communication Skills: Playing in a clustered environment with other children is an essential step in the socialization of a child’s development. Working with others to accomplish a certain goal opens communication channels and widens views. The lasting benefits listed here merely skim the surface of the developmental advancements of playing with LEGO bricks. Learning with blocks can be an all-encompassing activity, benefiting your child for years to come. Developing multi-sensory skills in a fun and engaging environment is critical to harnessing a child’s creative instincts. Making the process of learning fun and effortless goes without question. Group collaboration, ingenuity, and problem solving skills are reason enough to jump start your child’s creating thinking and overall development. From sports, to science, to artistic design – it can all start with LEGOs.